Got a question or a tutorial? Re: Vertical lines on walls? Unfortunately it is still messed up. Even with a solid wall it Is still weird. I don't know anything but is it lighting? I managed to kinda fix them. The ones on the right wall are gone but you can still see some on the far side. For some reason just moving that section of the map fixed them, no idea why. TeMP wrote: I managed to kinda fix them. The ones on the right wall are gone but you can still see some on the far side. For some reason just moving that section of the map fixed them, no idea why. Well, the way I figure it..if it compiles, looks decent to the untrained eye, it's good enough for me. Most people didn't even see the texture glitch at the start of surf_forbidden_ways until I pointed it out a while ago...now all the mappers are pissed off at me because I did. lol. 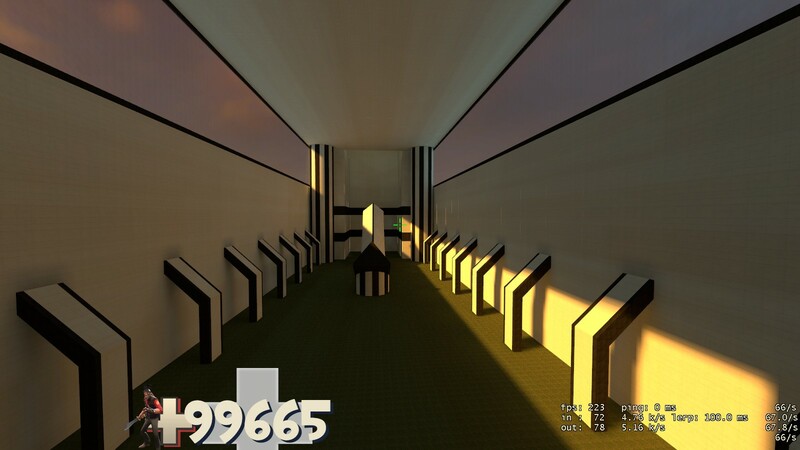 Nastybutler wrote: Most people didn't even see the texture glitch at the start of surf_forbidden_ways until I pointed it out a while ago...now all the mappers are pissed off at me because I did. lol. Oh god I didn't notice that, I need to see it lol.